Cebu Pacific Air, the second largest airline in the Philippines, Tigerair Philippines - a smaller local airline that struggled to be profitable. Combined, the two airlines will form Asia's largest budget airline network out of the Philippines. Via the strategic alliance, both airlines will jointly operate common routes between Singapore and the Philippines, and both carriers will sell and market their routes using a codeshare arrangement. The alliance is quite similar to what AirAsia and ZestAir did in early 2014, except they actually formed a brand new airline called AirAsia Zest. 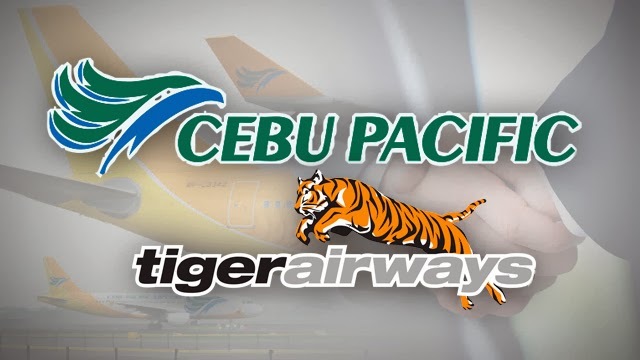 "As part of the strategic alliance, Cebu Pacific will acquire 100-percent ownership of Tigerair Philippines, including the 40-percent stake of Tigerair," the company said in a statement. "This strategic alliance will allow both Cebu Pacific and Tigerair to leverage on our extensive networks spanning from North Asia, ASEAN, Australia, India, all the way to the Middle East." Cebu Pacific also said that each carrier will retain its own branding while communicating that both are partners. Tigerair Philippines, meanwhile, will only continue to operate under the Tigerair brand at the outset.